Growing up as a member of the Wei Wai Kum Band of the Kwakwaka’wakw First Nation in Campbell River, Ellie Parton, a fourth-year medical student at UBC, didn’t see members of her community working as health professionals. She saw first hand the negative impact this had on the quality of healthcare available. This is why more health professionals of Aboriginal decent and more programs that are attuned to Indigenous culture are needed, she says. She points to the importance of shared cultural understanding — and shared history – in delivering healthcare in Aboriginal communities. “We have an inherent understanding of the challenges faced by our community, as well as our strengths—the spirit of cooperation, respect for tradition and the conviction that health is a matter not just of body, but of spirit,” she says. The lack of Aboriginal role models working in healthcare made Ellie doubt her dream to become a doctor. It wasn’t until she attended a pre-admission workshop organized by UBC for students considering medical school that she realized that studying medicine was a real possibility. She says the guidance through her application process and the financial support she received were instrumental to her decision to pursue medicine. UBC is growing the number of Aboriginal students like Ellie studying to be doctors, nurses, dentists, pharmacists and other health professionals thanks to two $1-million donations to the start an evolution campaign. The pair of gifts—one from Chancellor Lindsay Gordon and his wife Elizabeth, and the other from Rudy, Patricia, Caroline and Rory North—support the university’s Centre for Excellence in Indigenous Health, created in 2014 to train more Aboriginal health providers, to optimize Indigenous curriculum in the health sciences and to foster research into Aboriginal health issues. Both gifts are dedicated to the Centre’s goal of recruiting and retaining students to UBC’s health professional programs. The donors also targeted distinct needs. 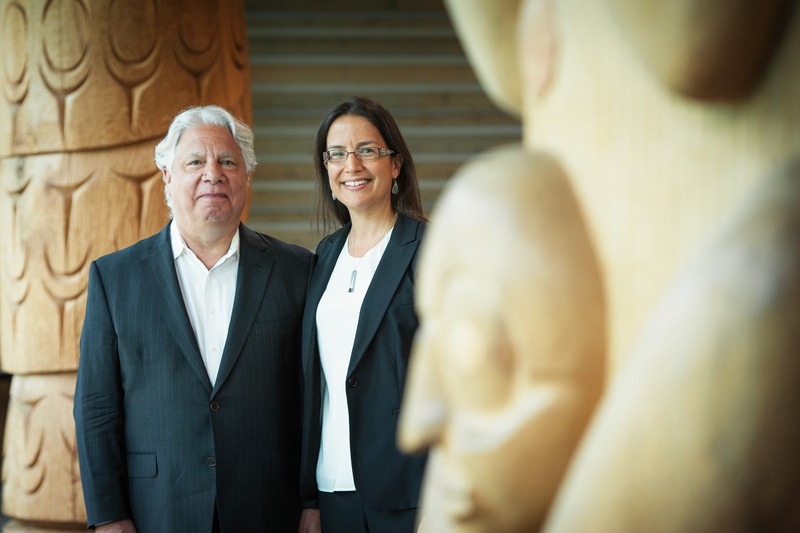 Nearly half of the Gordons’ gift provides financial aid for Aboriginal students. The Norths have supported the UBC Summer Science Program, a one-week program for Aboriginal high school students that promotes interest in health and science education, as well as the creation of a new certificate program for Aboriginal health. Nadine Caron, co-director of the Centre for Excellence in Indigenous Health and an assistant professor in UBC’s Northern Medical program, said these gifts are helping support the Centre’s mission. Thanks to the generosity of the Norths and the Gordons, the Centre is well on its way to achieving this goal.